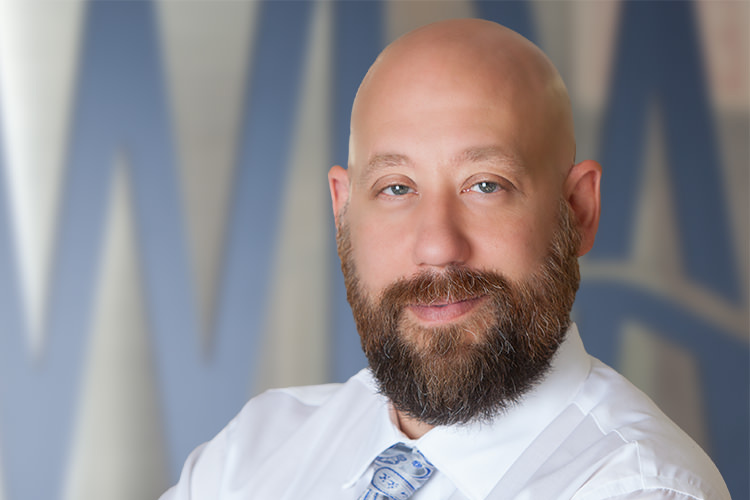 A professional geologist, licensed in thirteen states, and a nationally certified/registered hydrogeologist, Mr. Alfieri has over twenty years of experience and currently manages the hydrogeologic services operation for WRA Engineering , LLC (WRA). As the Principal Hydrogeologist at WRA, he provides: geologic, hydrogeologic, and karst science interpretation and evaluations; consumptive/water use permitting assistance; alternative water supply solutions; groundwater flow modeling; and expert witness services. He has the honor of being directly and simultaneously mentored by both Sam B. Upchurch, Ph.D., P.G. and Thomas M. Scott, Ph.D., P.G., the most prolific authors and preeminent experts of Florida geology and hydrogeology. Over his professional career, Mr. Alfieri managed and completed numerous large-scale geologic, hydrogeologic, and karst science project investigations across the United States and has provided third-party review and professional geologic opinions regarding a wide-breadth of geologic projects completed by others. Additionally, as part of his national practice, Mr. Alfieri has been involved in various groundwater and contaminant fate and transport modeling investigations used in water resource evaluations and impact analyses, subsurface construction design, and environmental projects. He is fluent with all of the major groundwater modeling platforms including Groundwater Vistas, Groundwater Modeling Software (GMS), Visual MODFLOW Pro, ArgusONE, ModelMuse, and ArcGIS/MAP. Mr. Alfieri also has extensive knowledge and experience with geologic, hydrogeologic, and geologic hazards evaluations utilized in geotechnical/foundation engineering design and construction projects. A past Chair of the Board, Mr. Alfieri was first appointed by Florida Governor Rick Scott as a Board Member of the Florida Board of Professional Geologists for a term beginning July 15, 2013 and ending October 31, 2015 and was reappointed by the Governor on January 5, 2016 for a second term beginning January 5, 2016 and ending October 31, 2019. He has served as a Board Member, Vice Chair, and was elected Chair of the Board on April 27, 2016. The Board of Professional Geologists is responsible for licensing and regulating the practice of professional geology. The board meets regularly to consider applications for licensure, to review disciplinary cases, and to conduct informal hearings relating to licensure and discipline. The board also engages in rulemaking to implement the provisions set forth in the Florida statutes and conducts other general business, as necessary. Mr. Alfieri has previously served as an executive board member for the New York State Council of Professional Geologists and the Buffalo Association of Professional Geologists. He is currently an active member and past Executive Board Secretary (2010 to 2011) of the Florida Association of Professional Geologists, a Section of the American Institute of Professional Geologist (FAPG-AIPG). Mr. Alfieri is greatly invested in his career and always offers his time back to the profession. For ASTM International (ASTM), which maintains jurisdiction of standards utilized by the geotechnical and geoenvironmental industries, he is a voting committee member for ASTM Committee D18 on Soil and Rock, as well as a voting sub-committee member for ASTM Committee D18.01 Surface and Subsurface Characterization, D18.21.01 Direct Push Sampling, D18.21.03 Well Design, Maintenance & Construction (currently Chair) D18.21.05 Hydrogeologic Properties, Modeling, and Data Analysis, D18.21.06 Design of Groundwater Monitoring Networks, and D18.26 on Hydraulic Fracturing. For the National Ground Water Association (NGWA), the leading professional society for groundwater scientists, engineers, and contractors, Mr. Alfieri was the inaugural Chair of the NGWA’s Deep Groundwater Investigations Interest Group, as well as a former Chair of the NGWA’s Groundwater Modeling Interest Group. He was also a committee member of the Advisory Committee on Water Information/Water Information Coordination Program (Office of Management and Budget/Department of the Interior/U.S. Geological Survey Program) Sub-Committee on Ground Water Data Standards and Data Management Work Group. Mr. Alfieri is a contributing author to the NGWA’s Manual of Water Well Standards and Best Suggested Practices for Aquifer Storage and Recovery. On behalf of the National Cave and Karst Research Institute (NCKRI), he reviewed submitted manuscripts for publication for the 13th Multidisciplinary Conference on Sinkholes and the Engineering and Environmental Impacts of Karst™. He also presented at the conference. He was a Program Chairman and the Proceedings Copy Editor on the organizing committee for the 14th annual conference in Rochester, Minnesota. ASTM International, Chairman, ASTM Sub-Committee D18.21.03, Lead Author, 2014. ASTM D5787 – 14 Standard Practice for Monitoring Well Protection.